Standard Features•Precision, custom fit to your truck’s body lines to enhance the look of your truck.• Aerodynamically reduces wind resistance and improves gas mileage.• Trimless, finished edges improve style and provide a clean look.• Structurally reinforced, composite laminate utilizing honeycomb sandwich construction for additional strength and rigidity.• Painted to match your truck’s factory color with Matrix™ high-quality automotive paint.• Low profile recessed LED third brake light helps prevent being rear ended.• High density, weather-tight bottom seal keeps the moisture out.• Gas props to assist in opening rear door.• Solid clear front window with 31% dark tinted sliding, side windows and rear door.• Bug screens on sliding windows keeps out the nasty bugs.• Standard dual locks for maximum security. High Rise Model 100 ProTops. Model 100 is a high quality,high-rise fiberglass camper shell, painted to match your truck with multi-stage paint. Rising several inches above the cab of the truck,the Model100provides additional headroom for maximum storage capacity, camping or hauling taller items with a much taller door loading height for your gear. Large, side,sliding windows with dark tinted safety glass provide plenty of ventilation and a larger,tinted rear door makes access quick and easy with out bumping your head. The recessed LED Third Brake Light and solid front window are standard. High Rise Model 300ProTops Model 300 is a unique, high quality, high-rise fiberglass camper shell, painted to match your truck with multi-stage paint. Rising several inches above the cab of the truck, the Model 300 provides additional headroom for maximum storage capacity, camping or hauling taller items with a much taller door loading height for your gear. Side, sliding windows and large, angled bay windows with dark tinted safety glass provide plenty of ventilation and a stylish look. 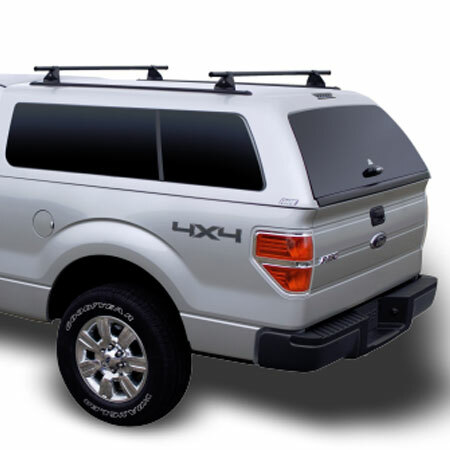 A larger, tinted rear door makes access quick and allows for higher loading height without bumping your head. The recessed LED Third Brake Light and solid front window are standard. Cab High Model 500 ProTops Model 500 is a high quality, aerodynamic, cab-high, fiberglass camper shell, painted to match your truck with multi-stage paint. Our distinct line of Cab-Hi Camper Shells give your truck the popular SUV look. Full side, sliding windows with dark tinted safety glass provide plenty of ventilation and a large, tinted rear door makes access quick and easy. The recessed LED Third Brake Light and solid front window are standard. Cab High Model 600 ProTops Model 600 is a high quality, aerodynamic, cab-high, fiberglass camper shell, painted to match your truck with multi-stage paint. Our distinct line of Cab-Hi Camper Shells give your truck the popular SUV look. Featuring longer and taller side, sliding windows with dark tinted safety glass provide plenty of ventilation and a large, tinted rear door makes access quick and easy. The recessed LED Third Brake Light and solid front window are standard. The optional pet screens provides security for man’s best friend from clawing their way through the standard bug screen and escaping. G&W Truck Accessories & Spray-On Bedliners is a family owned and operated business for over 20 years.